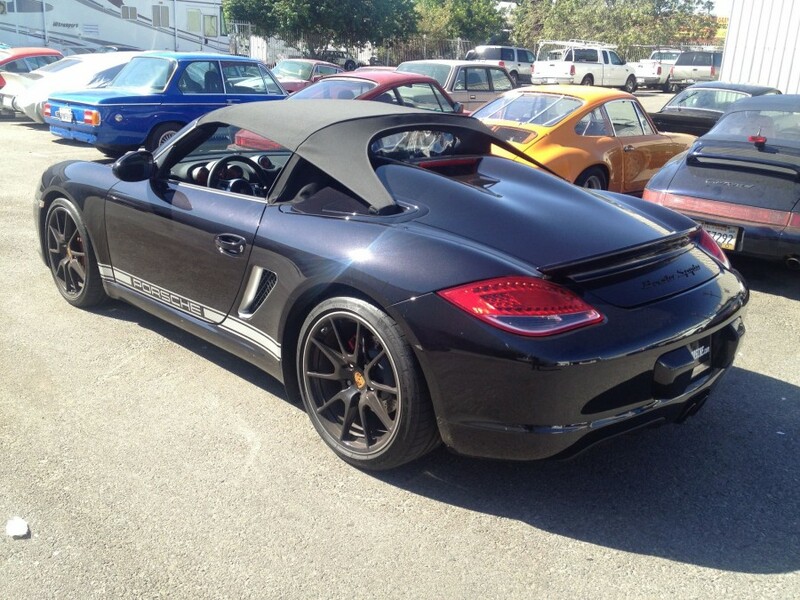 We are a full service independent Porsche repair, service and high performance facility in Van Nuys, CA. 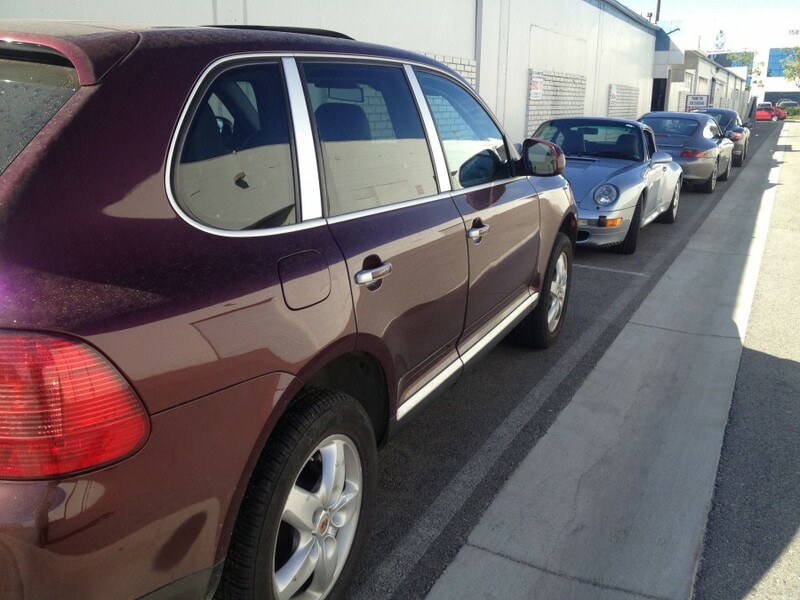 We service and repair all years and most models of Porsche vehicles for motorists in the Los Angeles and North Hollywood area. Staffed with expert Porsche technicians, our Porsche service center has been working on Porsche vehicles for over 30 years. We are located 1/4 mile east of the airport. Rental cars and pick up/drop off services are available. 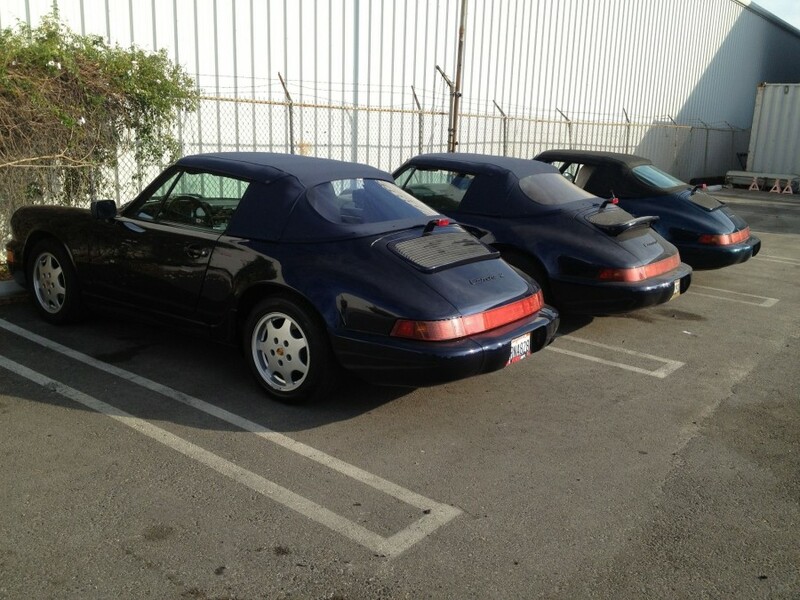 Come see us today in Van Nuys for all your Porsche needs. TRE always has my back. Many thanks! I was very pleased with TRE Motorsport. Everyone was really friendly over the phone and in person. 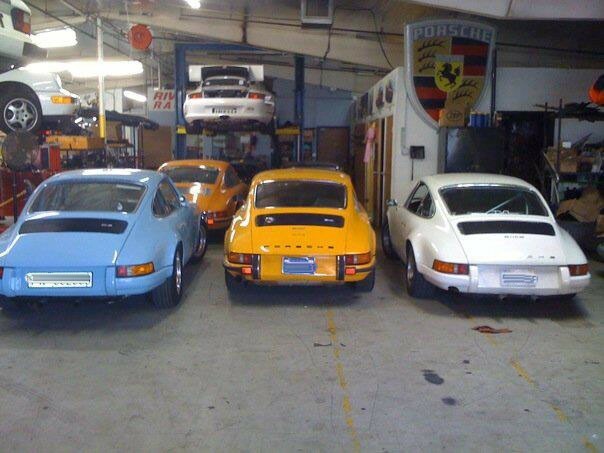 I think it's a good sign to see a shop that is big, clean and full of Porsches - even a couple of Beemers were in there. Their rates are decent, I got an honest estimate, and the work was good and speedy. It's one thing to suggest additional service but they don't try to upsell you or 'scare' you into having additional work done to your car like a dealership or other shady mechanic would. They'll definitely be the first shop I will call if I ever need service again. This shop has always had a great reputation for top-notch service, and my experiences there have been superb. Ironically, much of the work that they have been doing for me is "fixing" the repairs from a previous shop that I once used in Burbank. I highly recommend these guys. Dave & Jeremy are extremely knowledgeable and have always treated me fairly on price too! I highly recommend TRE Motorsports! I have a '76 911 and came here a couple of times with my car. Each time, they completed the job correctly and on time. Their mechanics are meticulous - they caught a leaking fuel line in my engine compartment on one visit and found that my transmission support bracket was cracked and about to shear off completely during another visit. Yes, the price of labor is steep, although you get honest service and a crew of mechanics that have been working on these cars 30+ years. New to Porsche, but not new to classic cars by any means, I turned to TRE Motorsports in March after acquiring my 1973 914. There was a lot of work to do to bring the car up to snuff, and I've been very happy with the professionalism, great work and value I've received from Jeremy and Dave. I can't find words to explain how my car feels like it just came off the assembly line - I had no idea that something 40 years old could perform as well as this car has under the guidance and fine-tuning provided by Jeremy. I would not hesitate to take a new project to them, and plan to continue to use TRE Motorsports for any repairs needed on the 914 moving forward. They know their stuff. Dave Bouzaglou's TRE Motorsports is top notch. I have had nothing but good experiences with Dave and his shop. 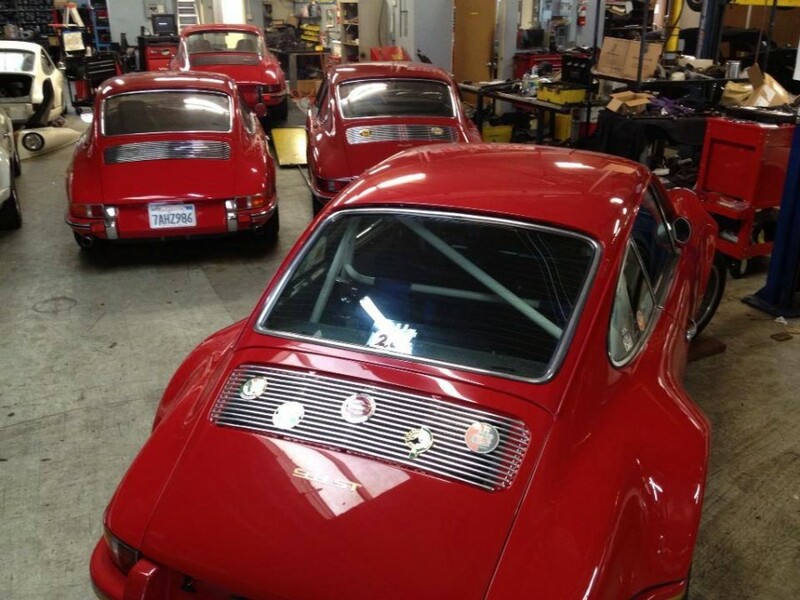 He hires great mechanics who are very good and very dedicated to Porsche cars. I started going to TRE Motorsports in 2007. 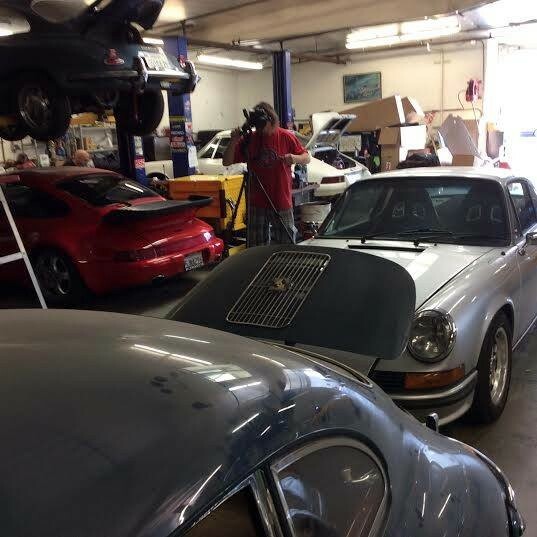 Since that time they have serviced two different 993 street cars, a 993 race car and a 944 race car. Dave is my go-to guy for all my Porsche needs. He is fair, honest, thorough and most importantly very knowledgeable about all things Porsche. Ruined the finish on my 911 wheels and calipers getting a routine brake job! They seem like nice enough guys. Went in for brake rotor/pad replacement & brake bleed on my 996. When I retrieved my car EVERY rim had some type of damage, mostly gauges around lug holes. One rim had obviously been scrunched facing down on the garage floor. The mechanic acted like he didn't know what I was talking about. The brake caliper clear coat was buggered up on all four corners too. Dave offered to have Andre at Wheel Refinishing respray my wheels. the wheel finish lasted about 3 months tops before the paint started bubbling up on my factory BBS 18" Porsche rims. I ended up taking the wheels over to wheel enhancement and had to pay a small fortune to get the '05 997 5 spoke rims back to "as new". I let Dave know this, he offered no compensation. Dave offered to go halves with me on the brake caliper repaint. I am utterly disappointed and will not be back. The actual rotor, pad & brake bleed was fine...it's what they damaged on my wheel and caliper finish that is what they dropped the ball on. I'm sorry to report this, but Dave had the chance to make this right and chose to go cheap on the damage repair incurred by the mechanic at his shop, eventually causing me to have to have the whole thing redone at my expense. The calipers are now in need of refinish...Dave offered to cover half the repair. I'm sorry, that is not even close to making the problem TRE caused right. Really terrible experience. They misdiagnosed my car completely, racked up $2,600 in expenses for an unnecessary repair (replaced the differential on my 996 turbo when it just needed a new bushing). More Importantly: they racked up 140 miles on my odometer. Any explanation for this? Beware of going to TRE Motorsports. Also, please be careful when dealing with a kid there named "Amir" (I think that's how you spell it). When I was 19 in 1971 I bought my first Porsche, a 1958 Speedster. Then in 1973 a 1957 Carrera 4 cam. I worked at Porsche Pit Stop in Van Nuys and I knew of David B. I've had almost every exotic car but always a huge Porsche fan. Nowadays I have a late '73/74 RS 2.7MFI....When I got it 10 years a go I had problems finding a good mechanic and tried a few famous shops but no one was expert with the RS motor. After reading about TRE & David Bouzaglou in numerous Excellence magazine articles I realized he is the West Coast expert of the R, RS & RSR models. I've been a customer ever since. His shop is large and kept super clean. That always says a lot. Their knowledge & experience with the Porsche race models is tops. Efficient and very fair pricing. This is the real deal. No place is better.